Many patients and physicians who practice alternative medicine, consider Dr. John C. Lowe a pioneer in the field of of thyroid disorders. Although his primarily field of study seemed to be fibromyalgia, he held many theories regarding hypothyroidism that many felt aligned with their values. According to this article, and many others on the web, Lowe believed that clinical tests that determined the T3, T4, and TSH levels within a patient were often false and could not be reliably trusted. Someone could still have hypothyroidism if there tests came back well within normal ranges. He recommended thyroid hormone therapy to his patients, even if diagnostic tests did not indicate a patient had hypothyroidism. Some of his patients seemed to feel better as a result of this extra thyroid hormone. 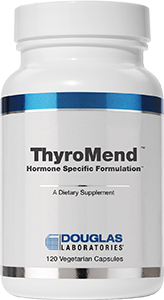 Lowe believed that all hypothyroidism patients should take thyroid hormone replacement therapy as a cure for their thyroid issues, and according to the website, eventually developed Thyro-Gold, a dietary supplement that contains desiccated thyroid, in order to achieve this. 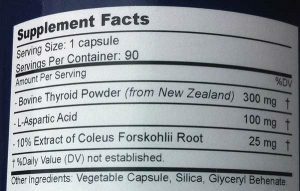 Thyro-Gold primarily contains thyroid gland powder from bovine in New Zealand along with other secondary ingredients such as 100 mg of L-Aspartic acid, 25 mg of 10% Extract of Coleus Forskohlii, and Glyceryl Behenate. 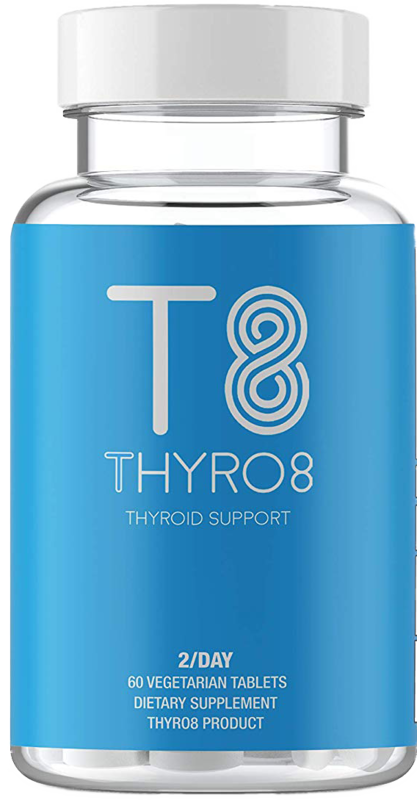 The secondary ingredients of Thyro-Gold’s formula have been shown in scientific studies to have little benefits for the thyroid itself. Rather Thyro-Gold uses these as the frame for its vegetable capsule. One of them is also used as an herb powder although it is not as effective as some of the other more popular herbs such as Bladderwrack, or Cayenne Pepper. Studies, in particular, have shown the benefits of Ashwagandha for the thyroid. It is a bit surprising that Thyro-Gold does not include it in their formula. 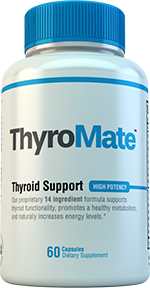 The main ingredient, the thyroid extract, is touted as the best and most advantageous element for the thyroid, but many experts disagree with this statement. They caution against the use of thyroid extracts in supplements as dietary supplements are unregulated. 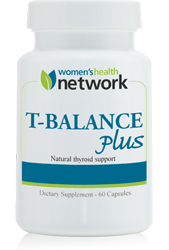 Each capsule can contain any amount of thyroid hormones. One capsule may contain any range of T3 or T4 hormones, or possibly even nothing at all. If this capsule was produced by a regulated pharmaceutical company or obtained through a prescription, it would list the exact amount of hormone in each pill. However, as mentioned before, the unregulated nature of supplements makes the exact amount known. This is the primarily safety aspect to be concerned with, with extracted thyroid hormones. If you accidentally take too much, you can experience many unpleasant symptoms such as high blood pressure, anxiety, sleeplessness, and increased heart rate. We would at least recommend talking to your doctor before deciding to take these supplements. Another safety risk to consider is that extracted Thyroid Glands from bovine is Mad Cow Disease, which can be fatal to humans. While it is certainly rare for Mad Cow Disease to occur in New Zealand, as Thyro-Gold’s website so often says, it has occurred before contrary to what the website states. Mad Cow Disease and its variants are much greater risks in countries such as the United Kingdom, so it is safer that Thyro-Gold is sourced from New Zealand, but the risk is still there. Thyro-Gold and its parent website has a lot of information about thyroid conditions and potential ways to alleviate the symptoms. Some of the information I have read so far looks good but there is some that is based on the theories of one man and not exactly supported by the major scientific community yet. Some of this information is regarded as pseudo-science from many scientists and experts. Furthermore there is no money-back guarantee. If this product does not work for you, it is likely you will not be able to get your money back. We do like how Thyro-Gold’s website is made and is not bombarding you with marketing terms and stock images. The website has a personal touch to it. On the contrary, it does seem a bit outdated and could use a few improvements. 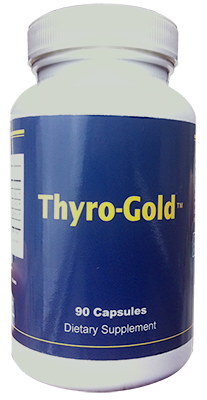 Thyro-Gold has the potential to boost T3 or T4 levels within your body. Since this is a dietary supplement, however, the exact amount of hormone in each capsule is unknown and unregulated. You will have to do a significant amount of experimenting to find the optimal dosage for your specific conditions. Some may need to take as many as 6 capsules a day. 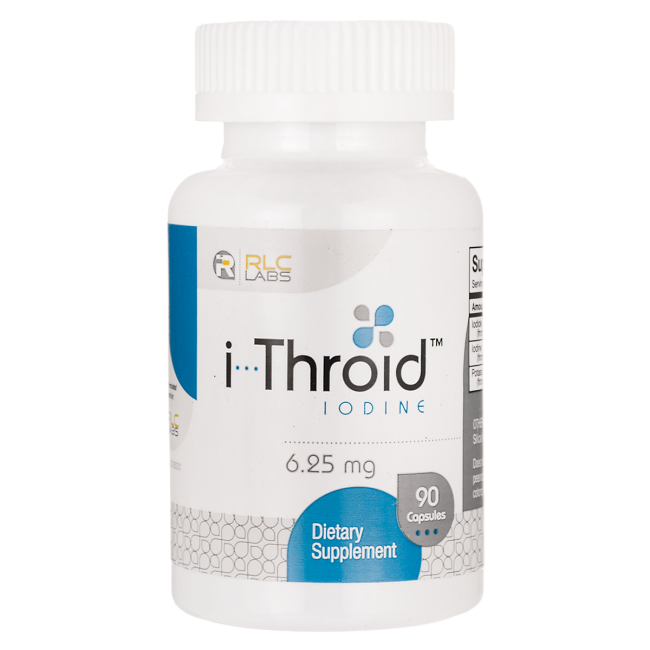 Once you do find the right dosage, the additional intake of T3 or T4 hormones within each capsule may help your underactive thyroid but at most will just mask the real symptoms underneath. 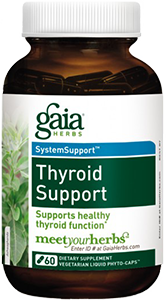 Many underactive thyroid users suffer from a lack of specific minerals, herbs, and amino acids. Thyro-Gold will do little to help you in this regard. Thyro-Gold starts at $32.94 for one bottle without including shipping and handling costs. With all of these added together, the price you are looking at is at least $38. 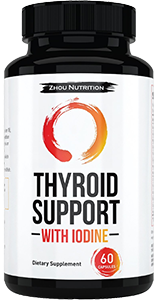 There is a slight discount for multiple bottles but this still makes it the most expensive thyroid supplement we have reviewed thus far. I don’t like it at all. I take it and it makes me feel kinda crappy. No energy, arms feel weak. I have e-mailed this company and they haven’t even bothered to return a response. The first email I sent about taking proper dosage was answered immediately, but when I wanted to get my money back…. it’s like they fell off the face of the planet. No responses whatsoever. I don’t trust this company at all. I think they are a little shady. I give them no stars!!!!!! Maybe because they only return unopened items and they say that on their website. Glad to know they don’t guarantee their product. How are you supposed to know if you like something if you can’t try it first. Very bad business practices 👎🏼 Thanks for the info. I love it!I have taken it on and off for several years!Its worth checking out. I found it on the website Stop the Thyroid Madness. I also was taking Thyroid Gold, but In December 2016 it just stopped working for me. I called to ask if anything had changed and they say no. Was wondering if you have noticed any difference in it’s effectiveness. Thank you for any information, as I’m miserable. You could have reverse T 3 going on. This is where you are taking enough thyroid medication but… it just isn’t getting into your cells. There is a R T 3 blood test that will tell you if this is the case. The ‘cure’? Drop your NDT dosage down to 1 – 1.5 mgs daily with some T 3 or take T 3 only for approx. 12 weeks. At that time test for R T 3 again. It should have dropped and you can then resume dosing up (slowly but not too slow) your thyroid meds. You do need to correct whatever caused the R T 3 condition in the first place or it will return. Some causes… low B 12, D 3, iron or stressed adrenals. It is always a good idea to be working with your doc (even if he/she has no clue about thyroid conditions) for blood tests at the very least. Most of us find that it takes some tweaking to find that ‘sweet spot’ when it comes to dosing. You don’t want to go over but you don’t want to stay under medicated for too long either. This is where your doc can be helpful.. running tests every few months until you have found your optimal dosage. I have been using it for some years and love it. My double chin is gone and I feel so incredibly good. I was looking for something besides pig for my thyroid and this is wonderful. Love this product. The price was a bit more than Armour, but I can order it myself and have 3 months + supply. What is the name of it and where do you buy it? I have been on 88 mcg levothyrocine for underactive thyroid for 7 yrs … I can’t seem to lose weight I’m always tired they always tell me that my dosage is correct… family doctor…. I have high blood pressure on meds for that…. is it safe to quit my current medication and to start taking your product ??? 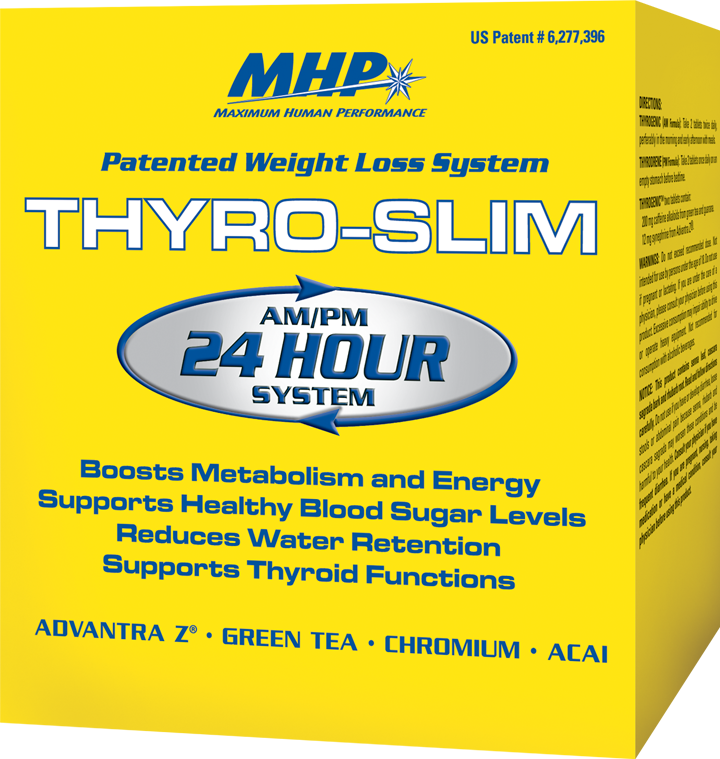 I have been on 50mg Synthroid for years now for hypothyroidism….and still; always tired, could not lose weight, In fact, I eat half of what I used to and still weigh the same after a year. Then last month my doctor told me I have high blood pressure. So I started reading about that; I read that the thyroid could actually cause high blood pressure. My doctor does not even test T3 and when I asked her if we should; she just brushed it off and said ‘oh, that’s too hard to test” And here is the strange thing, when I went to a walk-in clinic on a Sunday for a hand accident they tested my BP and said I do ‘not’ have high blood pressure. Anyway, I took the Thyro-Gold and after awhile noticed I did lose some belly fat and my hair started looking a little better. I am not telling my doctor that I am taking the TG and I am alternating days with the Synthroid. I will see what the bloodwork says in a few months. I am going by how I feel. And the blood pressure medicine made me feel so terrible I called the pharmacist to make sure I got the right thing. I am no spring chicken and I have learned one thing over the years…(doctor’s do not know everything)…they only see us like what 15 minutes two times a year; then on top of that the medical profession is controlled by the government so they are limited there. I can tell you one thing I am thrilled to have this alternative to even try. I finally learned to listen to my own body that I live in everyday and a body that I know how I feel. 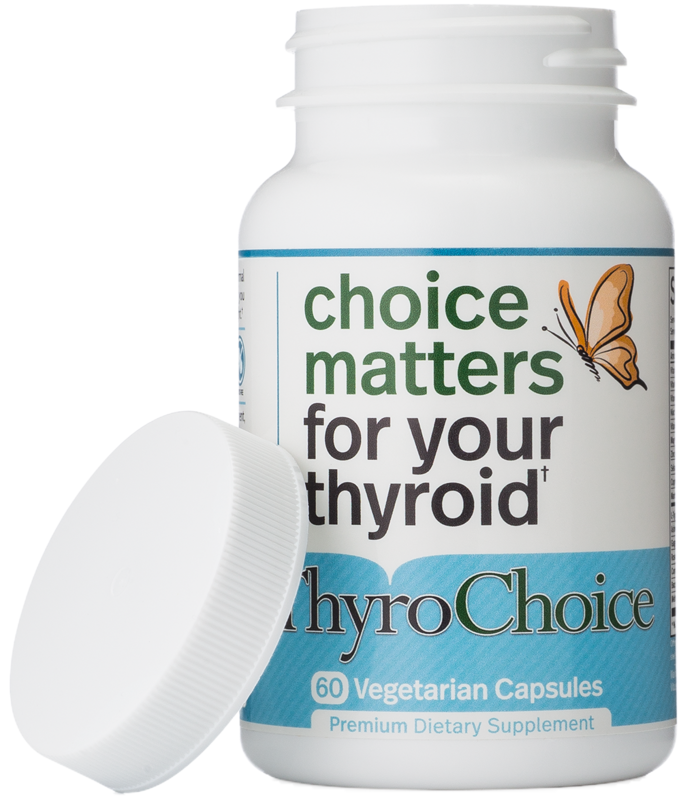 I spoke on the phone with Tammy Lowe of Thyrogold and she EMPHATICALLY INSISTED that no one should ever combine prescription thyroid medication with Thyrogold. Choose one or the other only. At first, Thyrogold was a wonder drug for me because I went from diagnosis of Hashimoto’s and 130 lbs to 205 lbs in 4 years. My Endo refused to listen. I gained 20 lbs, stopped taking the Levothyroxine and immediately lost the weight. I was reprimanded by the Dr and told take it again to then gain 30 lbs. When it got to 40 lbs, I quit the Levo again and lost all the weight again! Then, the Dr told me if Hashimoto’s sufferers don’t take their meds they could have ominous repercussions. I took it for 4 years straight and gained a total of 75 lbs. Walking 8-9k steps a day, cutting sugar and carbs, eating non-nightshade veggies didn’t help me lose weight. During those 4 years I educated myself about Hashi’s and begged the Dr to check my T3 and he repeatedly refused. My daughter and I searched for another Endo, but apparently he is the head of the department and I was told “I would have to get his permission to switch”! No other Endo would see me without this “permission”. I’ll have to to to another towns= and hospital to switch. 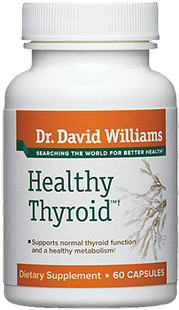 I found the Natural Thyroid Solutions website and decided to give it a try. I started with 75 mg and lost 15 lbs in 2 months (I even had a piece of my granddaughter’s birthday cake!). I thought I found the help I needed! At first, when diagnosed, I had NO symptoms. After taking Levothyroxine for 8 weeks I had ALL the symptoms, hair loss, sluggish, aching joints, etc. I feel phenomenal when not on any supplements or medications for Hashimoto’s. Unfortunately for me, after 2 months on Thyrogold, I then had 3 weeks of no weight loss and began feeling bad again. That’s when the distributor directed me to call Tammy. She believed I needed to up my dose to 2 capsules at 300 mg. I always take it on an empty stomach with a lot of water, wait an hour before eating or drinking anything, and take my temperature every morning. I keep a daily journal of dosage, temp, weight. My temp went from 97.2 before Thyrogold to 98.4 after. Taking 300 mg for 2 weeks, I was going CRAZY! My hands wouldn’t stop shaking, horrible headaches, diarrhea, but I began to lose weight again. The shaky hands is known as ‘exaggerated physiological tremors”. I stopped taking it for 3 days (without telling anyone) and then reverted to 1 capsule of 75 mg. That’s where I am now for 4 days. I’m confused, angry, fed up with Hashi’s, and my hands are shaking again. On the 3rd day w/o Thyrogold, the shaking dissipated! I know it’s directly related. I’m now considering quitting Thyrogold and finding an Endo who will give me a prescription for something to help my T4 AND T3. 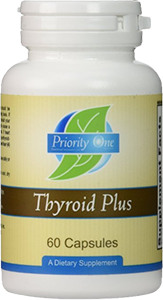 The Thyrogold is $58 for 90 capsules of 75 mg and $78.50 for 90 capsules of 300 mg, if you include shipping and handling. $15 is just handling! I’m on Social Security and can’t afford it, especially with the side-effects. I have been making educational YouTube videos for 3 years and my hands are shaking so bad I can’t hold a camera anymore. I have trouble even putting the key into the keyhole of my front door now! I know some people take up to 6 capsules a day. I can’t imagine. My heart goes out to everyone with Hashimoto’s! Educate yourself about Hashimoto’s as much as possible. Read medical journals, not just random websites. PAMELA (50mcg) not 50 mg. Please give us an edit link. Can you please give me the link to re-purchase the Thyro-Gold supplement. This stuff works! For several years, I’ve tried various synthetic versions of T4 (Synthroid, Levoxyl, etc.) and T3 (Cytomel, compounded slow-release T3), and no matter what dose, my free T4 and free T3 lab values would remain clinically low. About a year ago, I finally stopped taking the synthetic forms and started just taking Thyro-Gold (3 of the 150 mg pills/day). Ever since, my values have been in the optimal, high-normal range, where I had never managed to get them before. Ultimately, at about $30/month, the cost is comparable to what I paid for the prescription Synthroid and Cytomel, with the huge added bonus that it actually works! And it’s over the counter, so I don’t need to deal with prescriptions. I have energy again and regulated/uninterrupted sleep for the first time in many years. Weight loss? No. But no gain either. Honestly, I expect with the increase in energy, an increase in physical activity, and with that weight loss. My hair and complexion are much improved. For me personally, It’s worth the $30 a month to feel so much better. I have been taking Thyro – Gold for almost 2 years and it worked far better than Levothyroxine. I got my life back!! However, the last batch that I ordered seemed less potent and I got majorly hypo. My endocrinologist had to add 100 mg of levothyroxine to bring down my elevated thyroid (TSH 33). But even then my TSH remained a bit elevated ! So confused I switched to an an old batch of Thyro Gold that I had. On the same dose I turned severely hyper and lost 4 kilos in a month. So like you mentioned the amount of Thryoid hormone in the last batch i ordered was lesser. I am extremely stressed out because of this. When I tried to order it said $38 a bottle but then added $15 shipping. That is obscene. i think paypal actually makes money on the transaction too. I’ve been taking Thyro Gold since 2011. Works great. I have had shaky hands so it takes awhile to get adjusted correctly plus check for adrenal fatigue. 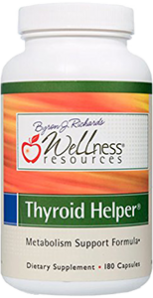 Go to Stop The Thyroid Madness for great info! It has been several years I am taking thryo-gold now. I did my homework. Actually, years of homework as the endo’s seem to know nothing and stopthetyroidmadness helped me to know how to do my own bloodwork (Ultalabtests.com) and regulate it myself. I just tested it through a Dr. (After years of not going to a Dr.) I did not go to the Dr. for the thryoid, but they tested it anyway which was fine, and my test results were PERFECT! The Dr. knew the TSH test would not be the same on a dessicated thyroid as on pharma meds. How nice to find someone who knew something! I LOVE this product. Feel so good! I take 2 capsules of 300 mg each daily. I got Hashimoto and wanted to change from synthetic t4 to this product. Was told there is 50 mcg t4/12,5 t3 in a capsule of 150 mg. Used 2 capsules a day. Should be about the same amount as I used before. Without knowing it, my metabolism really decreased and ended up with very low thyroid blood values. And pretty seek. So I guess this did not work for me. The persons who sold it were very nice and answered all my questions very fast. But I consider this is a supplement product. Not an option for treatment. Or it is my body that will not obtain it. I agree with Maya. I usually take a combo of Synthroid and cytomel. I stopped taking those and switched to TG exclusively at 2 capsules a day. After a few weeks, my labs were terrible. My TSH was 11 and my FT3 and FT4 were not in normal range either. My FT3 was better, but again, still not in range. This is truly a supplement. For me, a supplement to help my FT3 a bit, but that’s all. It’s not a replacement for Synthroid.